Ultimate support for British builders. UNI-PROP, the temporary support system from UNI-PROP International Ltd, is available to hire across the entire UK and has become the new hire choice of builders across the UK. The product was released in conjunction with early February’s National Hire Week. The news has been welcomed by builders up and down the UK as the UNI-PROP is looking to be a more efficient alternative to the first-generation steel temporary supports, typically known as Acrows. 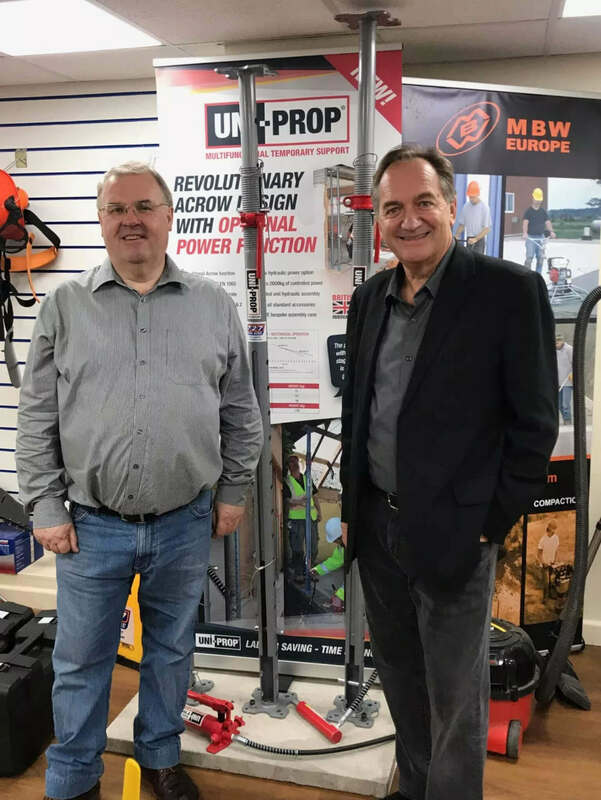 The demand for the product is so great, that one particular hire centre – 727 Tool Hire, in Great Dunmow, Essex – has replaced all first-generation steel temporary supports with UNI-PROP. Invented in Britain, UNI-PROP is an innovative adjustable building support that can be quickly adapted to also deliver controlled hydraulic power. The device is widely regarded as a major development for the general building industry; the first such upgrade on steel temporary supports in over 80 years. UNI-PROP is creating positive shock waves in the industry because of its detachable hydraulic assembly, which is supplied as a sealed unit in a bespoke HDPE case. It is the addition of this option that makes UNI-PROP so special and sets it apart from existing devices that are used on virtually every building site across the globe. It’s not just the UK that has recognised the power of the UNI-PROP, but new global patents in USA and Australia means the product is set to become a global phenomenon as global distribution partners are now being sought to open retail channels in the USA and Australia. Managing Director, David Marr said: “I know the construction tool hire industry is focused on both health and safety as well as innovation and that’s the reason builders are actively replacing Acrows with UNI-PROPs. Ricky Ellam is one of the most well respected individuals in the tool hire business and he immediately recognised the product’s potential. The product is available in three sizes: the Mini, Midi and Maxi models, which correlate with Acrows 0, 1 and 2. UNIPROP is failure load tested to BS EN 1065 and can deliver up to 2000kgs of controlled hydraulic power via the CE marked Hydraulic Assembly.